Just read this article and I’m fuming. Hmmmm, we might need to set them straight about a few things. The article in question had claimed that extending the childcare rebate to nannies would put children in the care of unqualified babysitters, place them at risk and see them well behind their peers. The article went on to claim that nannies have no childcare qualifications, or are only trained to babysit, unlike childcare center staff. 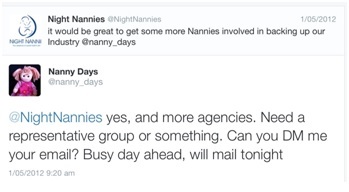 Tracey wrote to the journalist who had authored the story to set her straight and defend the many great nannies working in Australia. She asked for a right of reply in another article to address the false claims about nannies and the resulting article defending nannies appeared in that weekends newspaper. Meanwhile, Annemarie and Tracey were discussing where to go from here and the idea of ANA was conceived. 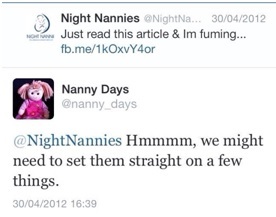 It would be great to get some more nannies involved in backing up our industry. Yes, and more agencies. Need a representative group or something.